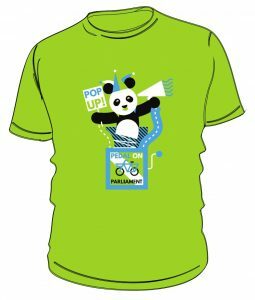 Angered and shocked by the deaths of two people on bikes in the space of a week, a group of Edinburgh cyclists are taking action on behalf of all cyclists in Scotland to draw attention to the latest tragedies. At 8am today, two ‘ghost bikes’ – white-painted bikes which represent a fallen bike rider – will be left outside the Scottish Parliament on Monday morning, representing not just the two latest deaths, but the eight people, two of them children, killed on bikes already this year in Scotland. A memorial to all the fallen in the last five years is also being created. The family of Douglas Brown, who succumbed to his injuries after being knocked off his bike by a tipper truck in West Lothian last week, will also attend. Last month, figures were released showing that the number of cyclists killed on Scotland’s roads last year had risen, from seven in 2011 to nine in 2012 and, shockingly, looks set to rise again even more in 2013. This year, there have already been eight deaths, including 14-year-old Connor Shields and 79-year-old Douglas Brown. 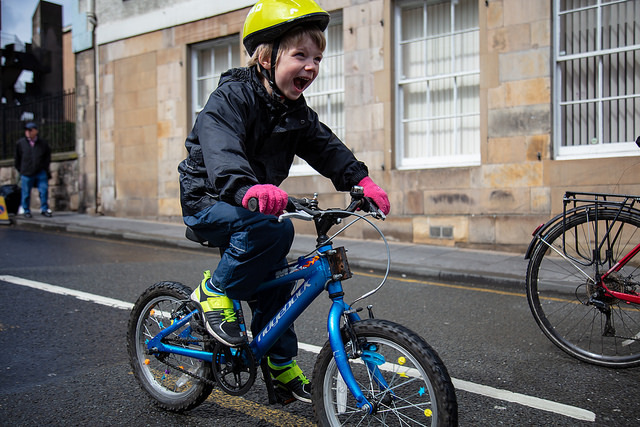 The Scottish Government has rejected calls made by Pedal on Parliament, public health experts and MSPs to increase the amount spent on cycling infrastructure, including safe, separated cycle tracks, to £20 per head. The recent Cycling Action Plan for Scotland also rejected calls for the implementation of ‘strict liability’ laws in civil cases where vulnerable road users are injured, claiming that, as road casualty figures were falling overall, there was no case to be made for it. Ghost bikes have been used around the world to mark places where a fatal accident occurred, acting as both a memorial and a warning. Andy Arthur, who was one of the cyclists involved explained why theses ones were being installed at Holyrood instead, “the bikes are being brought to Parliament because we feel that the blame for these avoidable deaths must lie as much with the inaction of the Scottish government as with the drivers concerned. It is the political leadership in Holyrood who have the power and the budgets to do something about the safety of cycling, yet they seem to lack political will. By leaving the memorial in full view of Parliament we hope it will stir some our elected representatives to action, or else shame them for their inaction. It emerged spontaneously out of the real anger and hurt we felt at the news of yet another death this week – coming on top of the loss of two members of the Edinburgh Triathletes club in separate crashes this year”. This Memorial was placed here on July 22nd 2013 by a small group of Edinburgh cyclists; for and on behalf of all cyclists in Scotland. It has been placed here in memory of each cyclist killed on Scotland’s roads in recent years; these were people’s friends and loved ones; husbands and wives, fathers and mothers; sons and daughters; grandparents, aunts and uncles. The tally on this memorial shows how deaths amongst cyclists on Scotland’s roads are increasing. In mid-2013, the per-capita death rate for cyclists on Scotland’s roads is 3 times that of London. The Scottish Transport Secretary states that fatalities are down on our roads and that they are safer than ever. This is not the case, and the inaction and denial on the part of the Scottish Government must stop now. This Memorial accompanies Ghost Bikes, which have been placed outside the Scottish Parliament so that they are in full view of our elected representatives, who have the power, authority and budgets to do all that it takes to tackle the preventable loss of life on our roads. Ghost Bikes have been used all over the world as a memorial to cyclists who have been killed or severely injured on the road. All it takes for people to keep being killed cycling on Scotland’s roads is for our Government to keep doing nothing.